According to HuntersHope.com, medical care for children with Krabbe Leukodystrophy has cost families in excess of $700,000/year. In the last 6 weeks alone, Reesa has had multiple appointments with the pediatrician, pediatric neurologist, GI doctor, ENT, pulminologist, physical, occupational and speech therapists, 3 hospital stays, an MRI, GI X-ray, endoscopy, colonoscopy, bronchoscopy, barium swallow studies, genetic testing, surgery to place a g-tube and fundoplacation, in-home machines for feeding and mucus suction, and this is only the beginning. 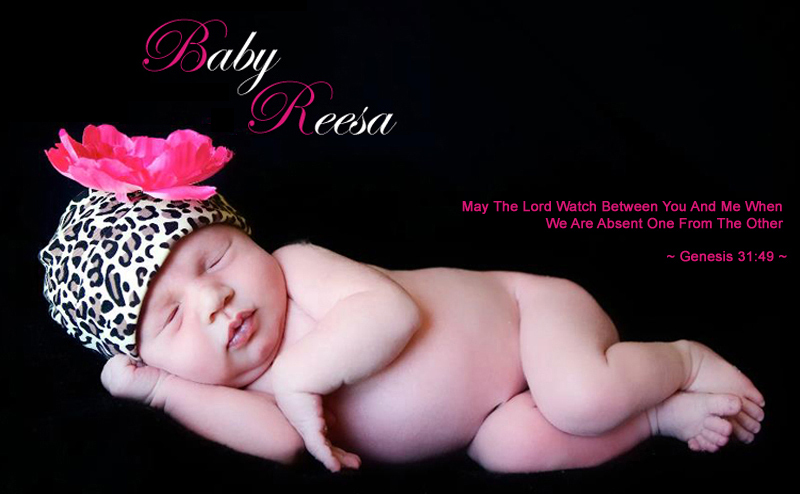 Sean and Jamie have set up a Foundation in Baby Reesa’s name to help future families affected by Krabbe Disease and other Leukodystrophies. All donations go towards this cause.